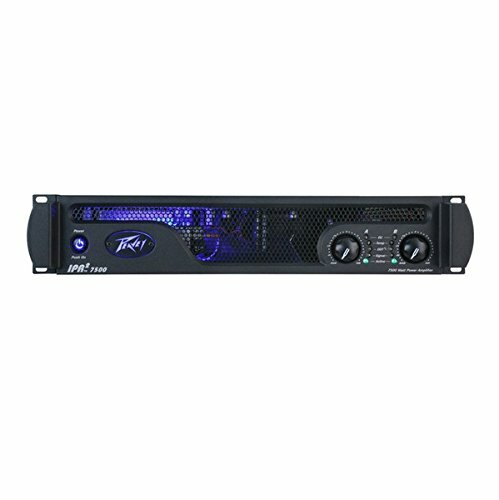 Peavey astounds with the IPR 7500 power amp, a part of the exciting IPR Series. Somehow, Peavey managed to make the IPR Series super-powerful in terms of wattage, but also incredibly lightweight - in fact, the lightest IPR Series weighs less than 7 lbs.! The 6,000-watt IPR 7500 features two channels with independent, 100Hz crossovers. Plus, there's a variable-speed fan housed in its lightweight aluminum chassis. In addition to thermal efficiency and reliability, there's also Peavey's DDT speaker protection circuitry made into the Peavey IPR 7500.